June 9th in WP Reviews by Wordpress Jedi . Amazon Associates program is one of the best affiliate programs around. You may not get 50% commission from Amazon. At the same time, the conversion rates for this program can be quite high if you play your cards right. You can sell books, music, movies, and anything under the sun and earn money from Amazon on your site. Amazon does provide its affiliates with a set of tools to help them become more productive. But there are easier ways to integrate Amazon products into your site. 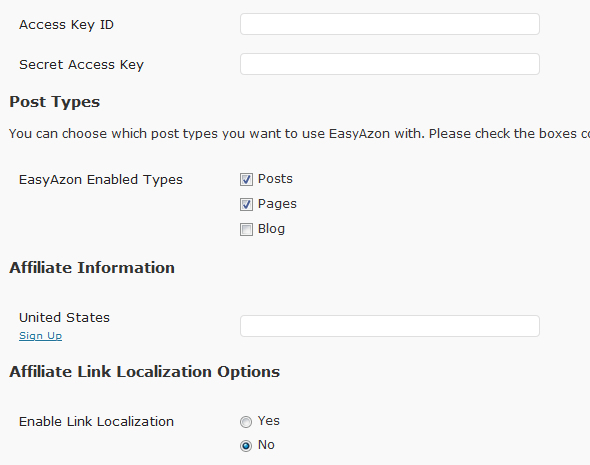 Easy Azon is a superb plugin that enables users to add Amazon products to their sites from their post pages fast.